Day 5 is here and it is Rosabelle’s day off from work. She will be working on her writing skill and collecting items to sell. Rosabelle wakes up tense from lack of creativity. She really seems pissed off at the world today. She eats some free yogurt and slams the door to the fridge because she is tense. After breakfast, Rosabelle heads over to the gym to shower since she still doesn’t have a shower at home. While she is there her fun needs becomes very low, Rosabelle then heads to the library to fill her fun and practice writing. Maybe she will see the cute librarian she met yesterday, she really liked him. When she arrives at the library her fun is very low and she is uncomfortable. After she arrives she changes her outfit because the one she picked after her shower didn’t really seems appropriate for the library. The day gets better and Rosabelle does see Pawel, the hot librarian! This time he is dressed as a gardener for some reason… She also works on her writing skill, she reaches level 2, and reads to raise her fun need. 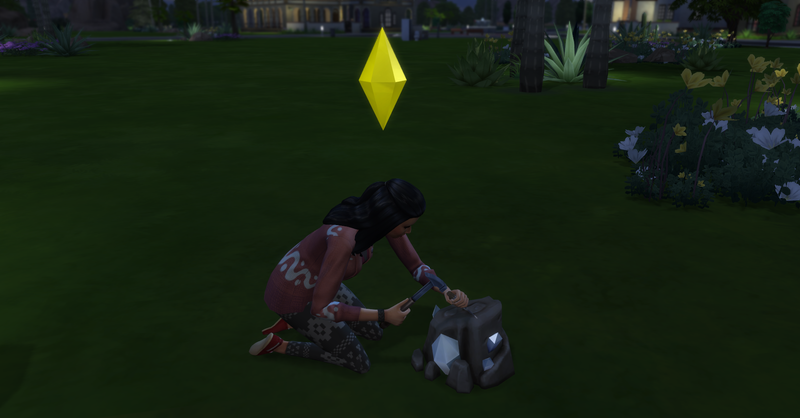 Afterwards, Rosabelle goes home for a quick yogurt (again) snack and to check if the collectibles have spawned in her neighborhood of Skyward Palms. 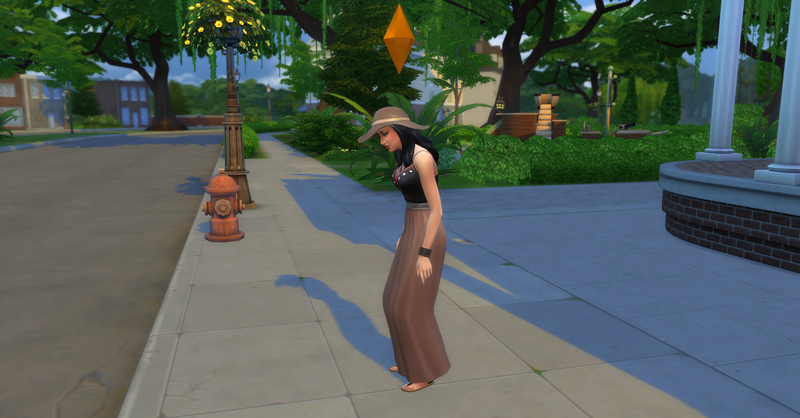 While Rosabelle is at home eating her yogurt she sees Pawel, the librarian, walking by and goes to chat with him. Then Pawel wants to take a selfie with Rosabelle, she is very excited, she thinks he likes her! He is also even cuter in normal clothes she thinks. 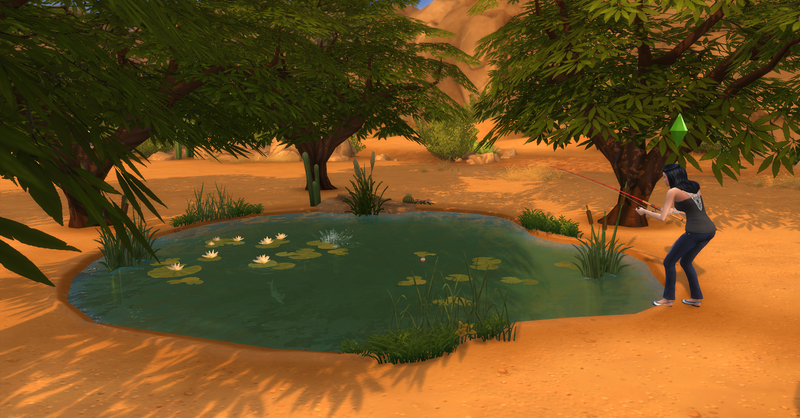 Nothing has spawned in Skyward Palms so Rosabelle goes to Desert Bloom Park & Pool to try collecting there. She fishes for a while but doesn’t catch any fish, she does catch a kitchen upgrade part. Since she doesn’t have a kitchen she sells it for $90. She also catches a Dirt frog in the pond worth $10, her funds are now $535. Rosabelle sees Pawel at the park too! He is playing chess with another girl. Rosabelle interupts his chess game with Kyra Kim, she doesn’t look too pleased about it, and Rosabelle and Pawel cloudgaze together. Pawel and Rosabelle become good friends while they where cloudgazing together. She then returns home, back at Skyward Palms everything is ready to harvest and all the dig sites have respawned. 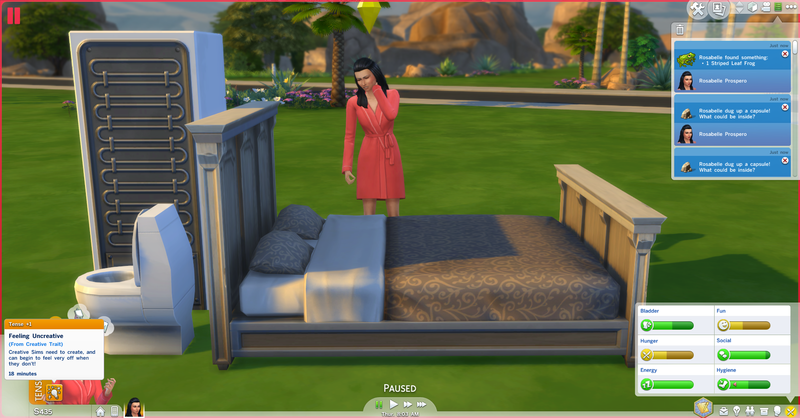 There is lots of things for Rosabelle to collect and harvest and she is feeling tired, luckily her collecting circuit ends close to her house! Rosabelle keeps one of each harvestable to maybe plant later when her home is more established. 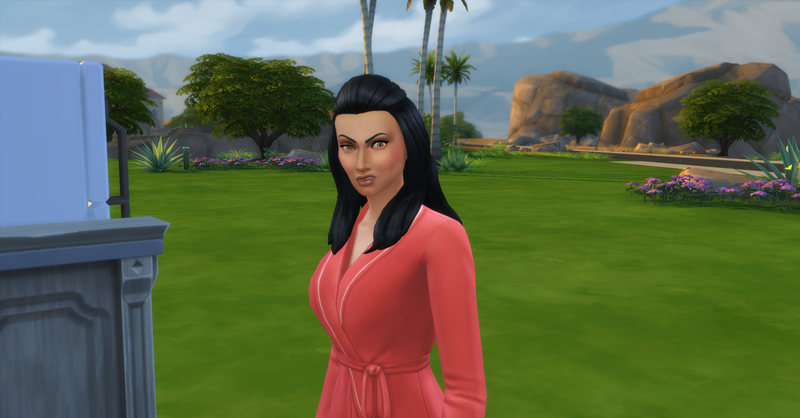 She has made to §1000 simoleons today, she is .1% of the way to her household’s goal of §1,000,000! 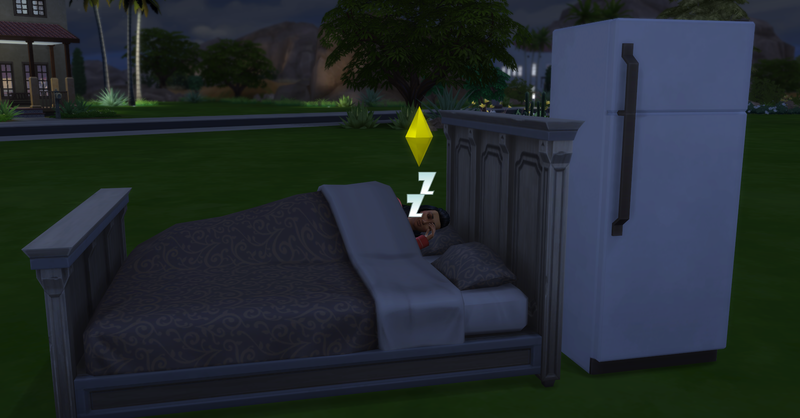 After she finishes collecting she goes to bed tired and ready for a new day. Check back soon for Day 6 of our Challenge!